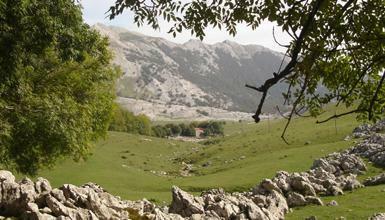 The Aizkorri-Aratz nature park, straddling the provinces of Álava and Gipuzkoa, stands out for its limestone mountains and its endless beech woods. 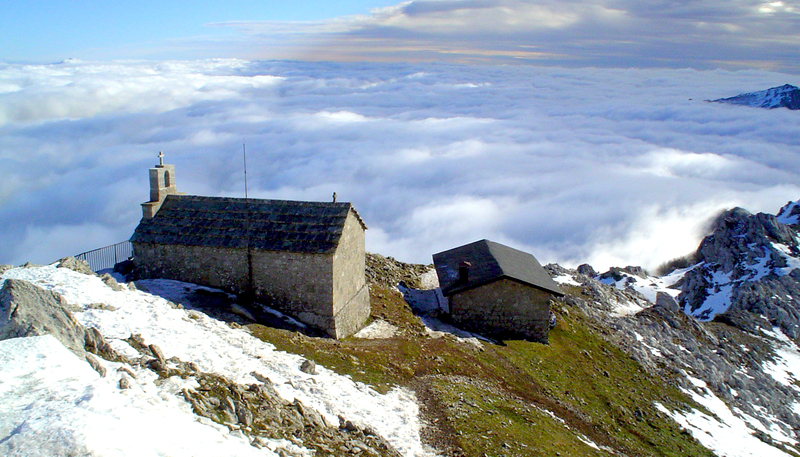 It boasts the highest peak in the Basque Country, Aitxuri (1,551 m) and legend has it that the mythological goddess Mari can still be found among its peaks. 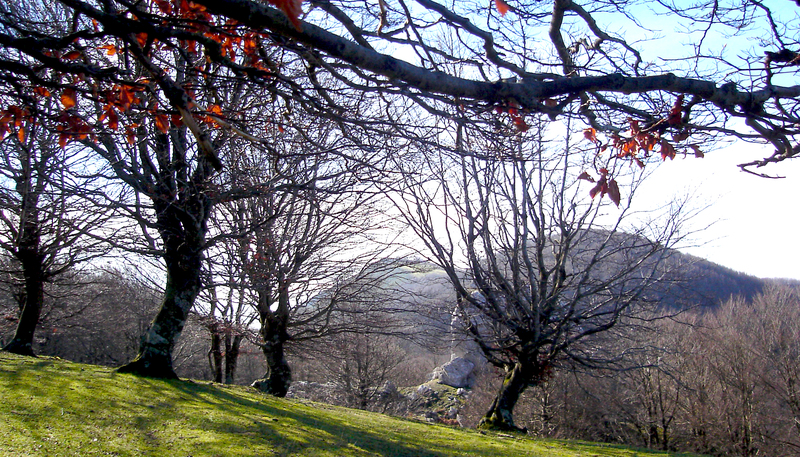 The main way into the park passes by the spectacular sanctuary church of Arantzazu, perched over a deep gorge, which is a must-see because of its architectural and artistic interest. 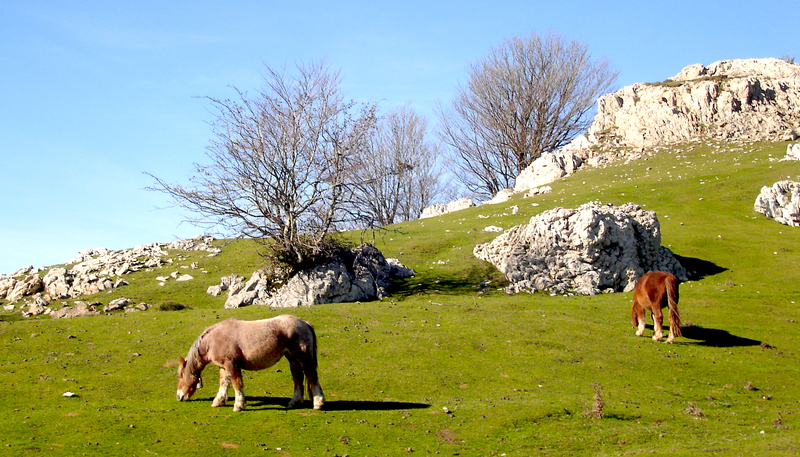 Moreover, the locality of Araia, in Álava province, also serves as a starting-off point to climb Aratz (1,443 metres). 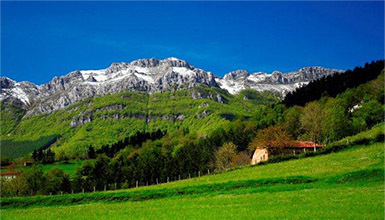 The Aizkorri-Aratz park contains treasures like the Tunnel of San Adrián, with a chapel of the same name hidden inside it, as well as a once-busy mediaeval road, and the subterranean cave of Arrikrutz in Oñati, with galleries adorned with gigantic stalactites. 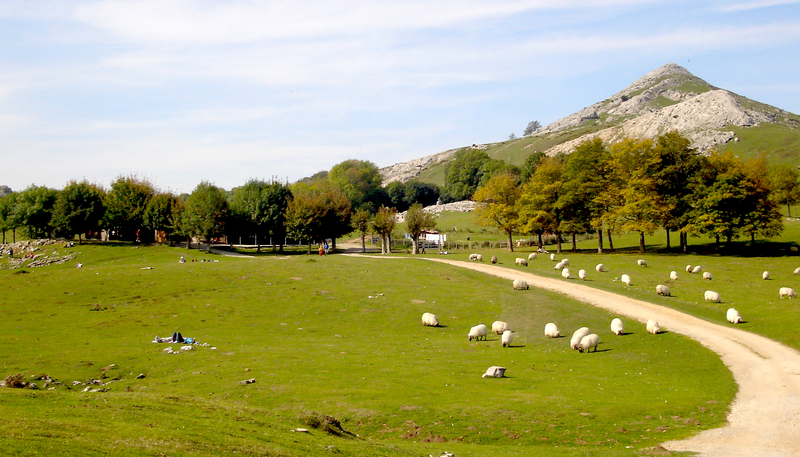 In addition to the information centre at Arantzazu, with a large permanent exhibition, there is a park visitor centre in the locality of Araia, in Álava province, which also offers visitors information about routes, places of interest, educational programmes and guided tours for groups. 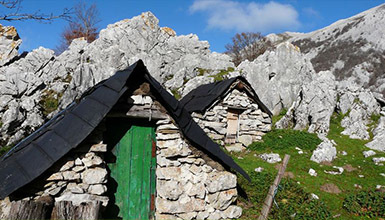 To learn even more about the Aizkorri-Aratz nature park, you can visit the Aizkorriko Ataria visitor centre, located in the hamlet of Anduetza, in the locality of Zegama, where you can find out about the cultural and natural features that blend in with these idyllic surroundings. 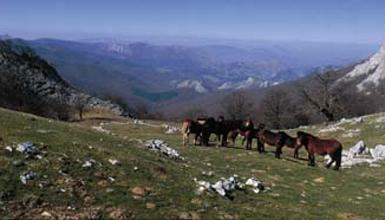 -Information and Interpretation Centre of Debagoiena.